When hiking the Grinnell Glacier Trail, you get some superb views as the trail spends very little time cutting through forests. 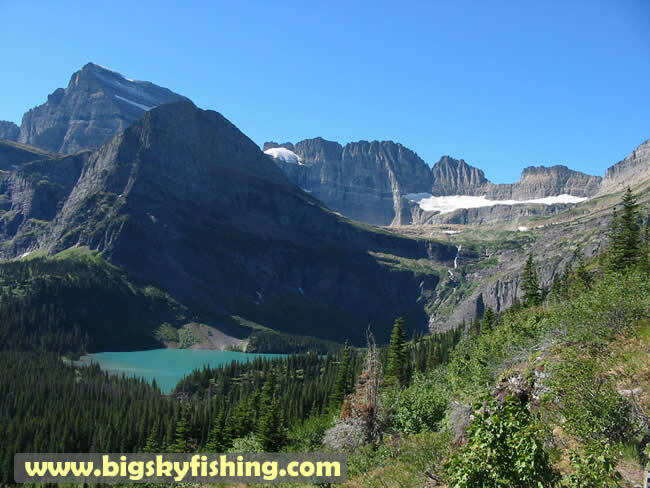 In this particular view, you can see Grinnell Lake, Angel Wing, Mt. Gould, the Gem Glacier and the Salamander Glacier.